Scottish novelist and poet Robert Louis Stevenson once wrote that “wine is bottled poetry.” Anyone that’s been taken by a haunting bottle of Burgundy will tell you, nowhere is this declaration more true than the Côte d’Or. Join us for a strolling tasting of no less than 40 wines, from Grand Cru, Premier Cru, and Village level parcels, in many of the most notable regions in Burgundy. Our regular customers will recognize well-established producers Domaine Jean Grivot and Domaine de Courcel, to name a couple that we’ve carried for many years and that have shown long-standing excellence. But wine regions and producers are not static things and we’re always working to understand new developments. Not only to offer wines from emerging producers like David Moreau, Sylvain Pataille, David Croix, and Damien Livera of Domaine des Tilleuls, but also to provide the information and context that will help you grasp the particulars of what might very well turn out to be your new favorite wines. By most accounts, 2011 in Burgundy was a success. The reds are full of lively red berry fruit to go along with a clarity of site expression and seductive aromatics. The whites are elegant and charming, with more nuance than power. In general, both red and white in 2011 are more approachable for early-drinking than the previous few vintages. We’ve been remarkably pleased with every one of several bottles of 2011 Burgundy we’ve opened so far. Some we’d even describe as sheer bliss. The Stand Gastro Bistro will be providing a few nibbles and a comfortably elegant atmosphere for tasting. Call us at (248) 398-0030 or send an email to elie@eliewine.com to secure your spot for the tasting. 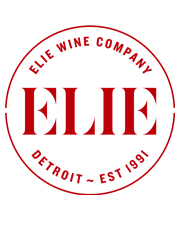 We’re hoping you’ll stay with us after the tasting for a two course prix fixe dinner offered by Chef Paul Grosz with regional wine pairings and special pricing for guests of Elie Wine Co. The appetizer will be served with a white Burgundy from Côte de Beaune. The main course will be served with two red Burgundy from Côte de Nuits and Mâconnais. Chef Paul Grosz, who also oversees Cuisine Restaurant in New Center, studied at Le Français and Le Cordon Bleu in Paris. His approach to the food at The Stand is modern yet heavily influenced by French techniques. This promises to be a fine finish to an evening of wonderful wine.